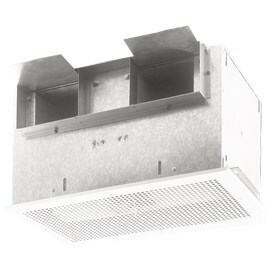 Broan high capacity fans are an exceptionally quiet solution to continuous ventilation. With their heavy-duty motors, high capacity fans are an ideal solution for conference rooms, public restrooms and other areas in commercial buildings that require ongoing ventilation. Low-vibration and lo-profile, they work quietly without getting noticed.